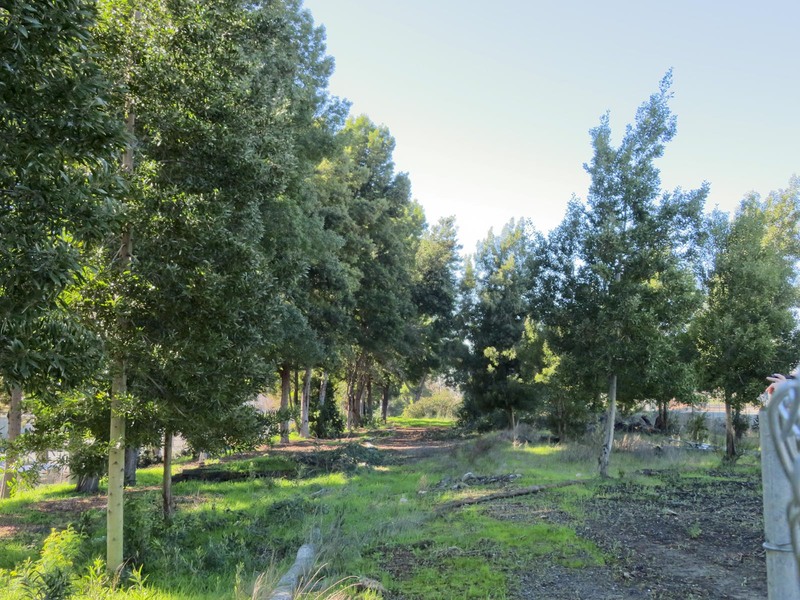 The Alameda Recreation & Parks Department (ARPD) has notified us that some of this wooded area will become available to park visitors. The exisitng chain link fence will be moved southward to the Union Pacific Railroad property line. The wooded area is west of the Rotary Picnic Pavilion and on the southern side of the park. This wooded area is located in the planned Phase 3 of development and is not expected to be built out for 5 to 10 years. This area will no longer be behind the chain link fence and will provide a shaded area for park visitors to sit and relax. While it may be several months before the fence is relocated and the area cleaned of left over railroad materials, we are excited about this additional space opening up in the Jean Sweeney Park. ARPD has also informed us that we may announce the expanded wooded space will be available for additional memorial benches and picnic tables. 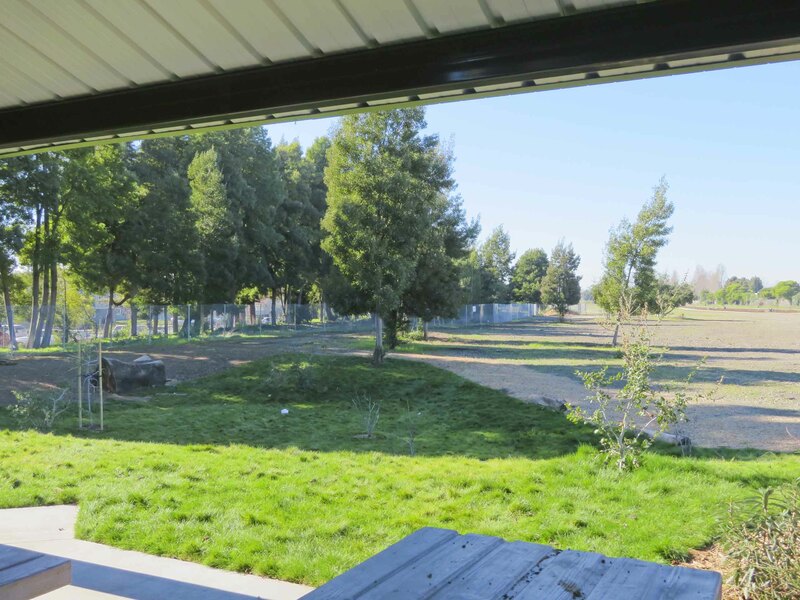 Memorial benches and picnic tables placed in the wooded area will need to be relocated, possibly to storage, during phase 3 construction (5-10 years) After construction, ARPD will work with bench and picnic table donors in the wooded area to determine the final place for their memorials. 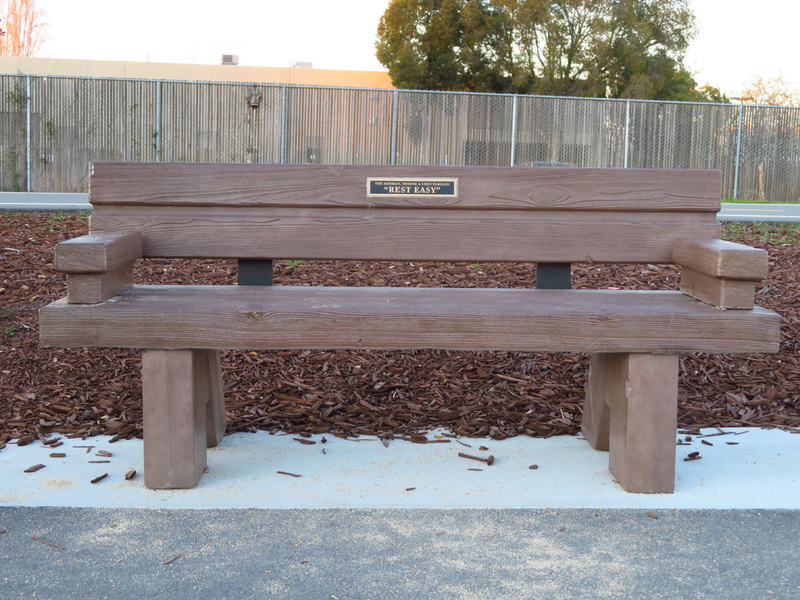 This concrete bench style is available for memorial donations to be placed in the wooded area. 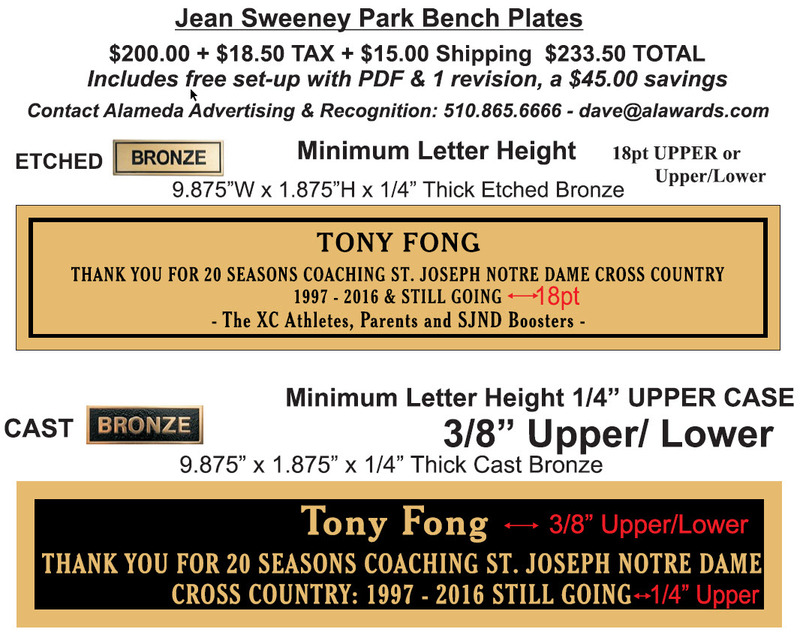 The cost of the memorial bench is $1500.00. Picnic tables available for memorial donations will be placed in the wooded area. The cost of the memorial picnic table is $1250.00. Memorial picnic tables are still available inside the picnic pavilion. The memorial plaque must be purchased by the bench or picnic table donor. The plaques can be purchased from any business the donor chooses and must be the size and style of one of the two plaques shown here. Alameda Advertising & Recognition located at 1110 Lincoln Ave in Alameda will provide a 5% discount on plaques purchased for the Jean Sweeney Park. Also available by phone at 510-865-6666. Applications for benches and tables follows. 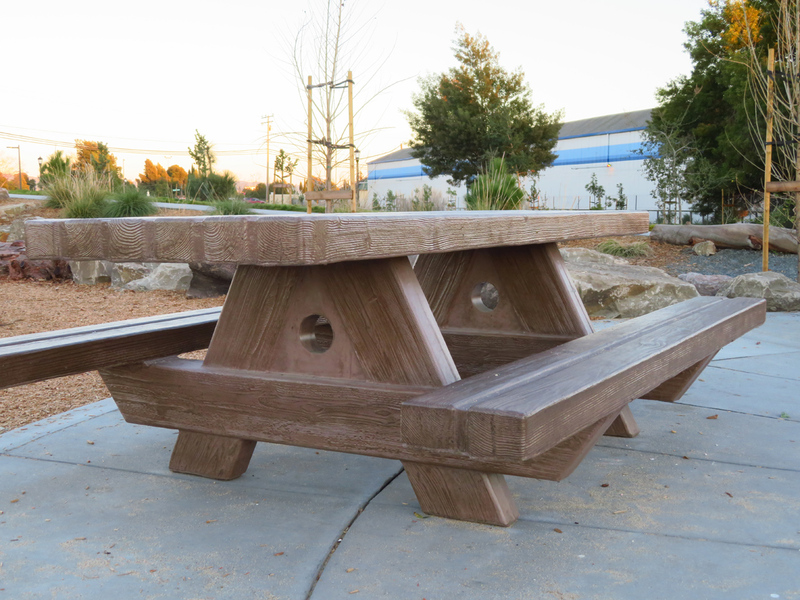 Download wooded area order form for benches and picnic tables to be installed in the wooded area only.